In his previous posts Phil Galfond concentrated mostly on options and policy that he will be applying over at Run it Once Poker. Now it's time for something totally different – a loyalty programme for streamers. Poker dreams have changed over the years. Initially players were looking for exotic games and new variations. Then everybody wanted to go to World Series of Poker or a televised game. When poker became popular in the mainstream all were looking to high stakes games. Today the dreams still change, all thanks to Twitch and Youtube. 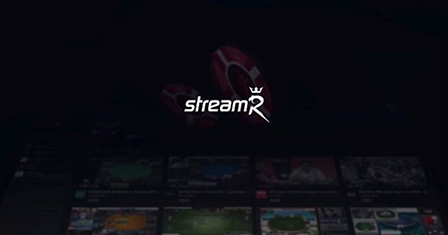 Many poker fans would like to stream their games to as many fans as possible and this is their dream. This is exactly what Phil commented on Run it Once Poker blog. The room will of course cooperate with streamers, but Galfond emphasizes he wants to go a step further – that is why “his” sreamers will compete to win interesting prizes. The rule for loyalty programme is simple. Streamers will be able to get extra net rakeback depending on the number of Twitch fans and time they have been streaming for. The programme will be known as streamR. Galfond says achieving the first level should not be difficult even for small time poker streamers. It will be required for a given stream to be watched in total for at least 200 hours. How will it be calculated though? They will multiply the number of average viewers by hours streamed. And thus the first level will be available to all who have usually 10 viewers and stream 20 hours monthly. It does not seem hard to get into the StreamR and it looks like it's gonna be worth it as there will be waiting some nice rakeback. Galfond says on the first level it will not be as little as 10 or 15% but 50%! As you see the highest level will probably mean you join Team Run it Once. Many hours, true, but 110% rakeback and other awards can make it surely worth your while. Galfond has not said yet what exactly awaits the most active users, but details will be revealed as soon as Run it Once Poker starts – RIO team must first collect preliminary data on how the programme works. Like you would stop your stream with 600 viewers after 1h 59min to prevent gaining 25% rakeback ? Why ? + you give out info, even on an anonymous site people will figure out who you are at higher stakes. I think it has really good value for people in the 30-100 viewers ballpark on lower limits. There are many streamers who don't chat much and still get those numbers, so I guess it's definitely worth it to grind streaming for 100% RB if your winrate isn't that great, and then you can focus on playing without stream for the rest of the month.